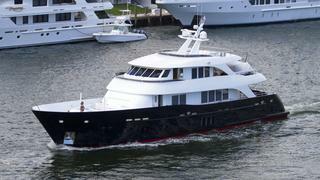 ANDES is a Loading... luxury yacht, built by Astillero Tecnao and delivered in 2013. Her top speed is 20.0kn and her power comes from two diesel engines. She was designed by Néstor Völker Yacht Design with Yuri Drozd developing the naval architecture.